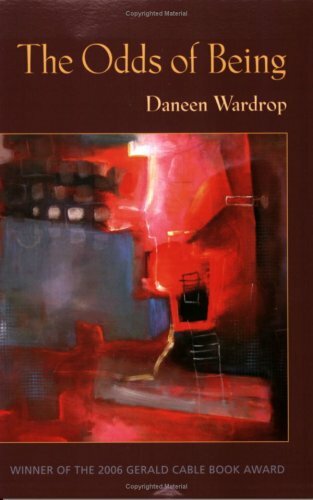 Daneen Wardrop is the author of Life as It, published by Ashland Poetry Press, which received the 2017 Independent Publisher Book Award. 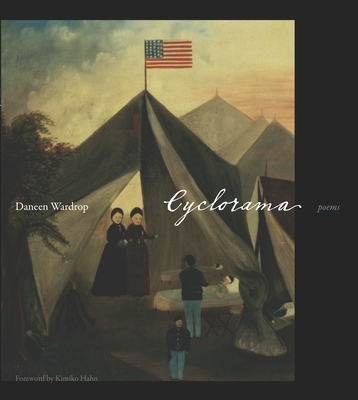 Her other books of poetry include The Odds of Being and Cyclorama. She has received a National Endowment for the Arts Fellowship, the Robert H. Winner Award from the Poetry Society of America, and has also authored several books of literary history. Many of the poems in Life as It center on raising an adopted daughter, many on the force field created by the accompanying meditations on both St. Teresa and Buddha, and many on playing music in the middle of all these things. Poet Grace Curtis talked with Wardrop about the use of prose in poetry, the value of unifying themes, and the influence of classic poets on both her work and parenting. Grace Curtis: When I read your book, I wrote words in the margins: "meditations," "thematic," "tightly-knit," "succinct," and "beautifully wrought," to name a few. I even jotted down the term, "negative capability," as I read these lines from an untitled poem: "As LiLi falls asleep I sit crosslegged at her bed's end, sink into the unknowing that mixes around the edges of finger knuckle, belly crux, shoulder trajectory," and "Whatever unknowing invites, whatever it keeps at bay, sees through me, lavender to lavender, I fold transparent, into it." This book feels like a kind of surrender in relationship to unknowing as a parent, as a partner, as a person, and, perhaps, even as a poet. Can you speak to that quality in this collection? Daneen Wardrop: I love the notes you took and the idea of parenting as the best of negative capability! Yes, Keats says negative capability is about staying in mysteries "without any irritable reaching after fact and reason," and it's the without that gets us, right? To give oneself up to mystery without grasping after logic. A tall order and so worth exploring. Actually, I wish I could hear from other mothers about how this might or might not resonate for them. I'm interested in the idea of seeing as one way of being, including interacting with a child, and with all people. In that poem you mention, "Untitled," I try to follow what it is to be seeing as opposed to what it is to be knowing. Those American Transcendentalist cats were invested in that idea. When you think of Whitman's epic "Song of Myself," there's no hero in the traditional sense of the epic, and no action, really, to move the story along. In fact, there's a decided preference to "lean and loaf," right from the very beginning, as others before me have pointed out. The only real action of the poem seems to be the speaker's ability to see; his virtue the virtue of hanging out, staying in the unknowing, as he takes in what's happening around him. A lot of parenting, I think (and a lot of being a child, too), can benefit from a sort of expansive boredom—an invitation to seeing. Call it parental loafing, if you will. So, I'm a slacker parent sometimes. Please let it be negative capability! A full-on Keats. My first book of poems was written when I was parenting an infant and this book when I was parenting a young child. Both collections of poems live in that "hanging out" space. When the speaker in "Untitled" comes to "fold transparent" into unknowing, she may be finding a moment similar to the "transcendent" desire to "lean" and "observe a spear of summer grass," as Whitman says. And while I'm mentioning Whitman and seeing, I'd like to add that the "it" of Life as It was inspired by a later part of "Song of Myself," in which the speaker tries for a whole section to define the word "it": "I do not know it—it is without name—it is a word unsaid." Whitman's "it" locates, at least in part, a way of accepting the many things that can't be known. GC: Clearly identifiable themes exist in the book, which give it a unity you don't always see in a poetry collection. They form a kind of polyptych that, as a reader, I found extremely satisfying. These themes include St. Teresa, daughter/mother, partner, Buddha, and music. St. Teresa is the one that feels the most pervasive to me. For example, in "At a Time," you write, "St. Teresa claimed at first she could see God's face only feature by feature because seeing the whole at once would undo her." And, in "Third," you offer, "'The important thing is not to think much but to love much,' says Teresa, who could levitate with love at any unexpected moment." As a reader, St. Teresa felt to me like an anchor of sorts. Can you talk about that? DW: Thank you for the idea of a polyptych! Yes, you're right—I seem much less able to think of writing a single poem than I am to think of writing a book-length poem. Or at least so far, ideas seem to keep coming at me in this unified way. St. Teresa was a wonderful person—not only passionate but also practical; not only ardent but also down to earth, even humorous. She inspired the sisters around her as she undertook the pragmatic work of building a convent. For a long time, the only thing I grasped about Teresa—and still probably the only thing I come even close to grasping—is the way she looks in the sculpture, "The Ecstasy of St. Teresa," by Gian Lorenzo Bernini. As Bernini captures her, Teresa is rapt in a mystical passion. When I traveled to Rome a few years ago, I was surprised to discover that our hotel happened to be a short two blocks from the church that housed the Bernini sculpture, and I pulled my poor fellow travelers along with me to see it. The marble Teresa looked small after she had become so extolled in my mind. But she looked no less ecstatic than I'd imagined—in fact, the ecstasy may have been magnified in the sculpture because of the relative smallness of her body. One other attraction of writing about St. Teresa has to do with how she saw the action of transverberation, which I understand to mean a striking into reality of God through the body. She registered religious passion as real pain in specific parts of her body. Maybe her transverberation feels a little bit like how metaphor works, how inspiration appears, or how I wish it did. Maybe I like the verby-ness of the word, "transverberation," the reverberation from the word into the body, from inspiration into the physical world. So much like the ecstatic way poetry can strike us. GC: And, the theme of daughter, which felt overarching to me. I'm specifically interested in how the St. Teresa idea interplays with the theme of LiLi, the daughter, in the poems. DW: This is a difficult one. Parents, especially mothers, are under such pressure to raise their children by being present and helpful at every moment but, at the same time, to urge their children to be self-sufficient. Sometimes it seems like there's not a lot of wiggle room—and we hear a lot of judging about parenting in our culture. In a way, to be an unselfish mother presence like a Teresa would be to be involved altogether and selflessly, which is, of course, impossible! On the other side of this range, to be a Buddhist mother, or a mother who lets things happen, who accepts that things are as they are, could be seen as negligent, I suppose, if the actions were taken to an extreme. Of course, my parenting doesn't exist on anything like these heightened terms, but I'm going for moments here: moments in parenting and moments in relationships with any of the people in our lives. If those two kinds of interaction—total involvement and total openness—could coalesce for even a second, man, would we have it made! Even for a microsecond, I'd take it! GC: In addition to St. Teresa, several poems also reference Buddha. Can you talk about the beautiful and surprising references to these two spiritual figures from radically different cultures and belief structures? DW: I can't say that I "believe" in either Teresa or Buddha in any traditional sense. I wasn't raised to follow any particular religion. In fact, when I was about nine or ten years old, my father suggested I go to Sunday school so I could understand something about our culture and religion. I went a few times (the rest of my family stayed home! ), and we Sunday school kids colored a lot of sheep with white crayons. I guess, as an adult, I've felt free to choose and even fashion my own religion. I'm still choosing, alas. Part of Life as It is the argument I have with both Buddhism and Christianity and the way I feel most comfortable in between; I want both the fierceness of belonging and the somewhat detached way that allows me to drift. That is, I want to want and also not to want—and I want them both at the same time! It's a lot to want. But it seems even more to not want. By the way, when I learned that Buddha played the flute, I was charmed. If I could have any one religious relic, it would be his flute. Can you imagine? But then I'd be too afraid to play, probably because I'd be so invested in having and keeping the ecstasy that came with the playing. But playing can only exist in the act of doing it, not having it. GC: As a reader, I found the prose poems refreshing. Why prose poems? What did they allow you to do that you could not have otherwise done? DW: Prose poems tend to keep me honest. A few of the poems in this volume were originally written in a more traditional lyric form, and, as the project started to quicken, I sometimes feared they might be sentimental. Mothering is so culturally overdetermined that I looked for a form that would show how fearsome and gentle and improvisational the experience of mothering can be. I hoped to find a way to make sure the poem fit and was true to my small family's day-to-day comings and goings. When I played with re-casting lyrical lines into the sentences of prose poems, something happened: the prose poem burned away any potential sentimentality and somehow allowed me to be as straight-forward, quirky, "ugly," (seemingly) off topic, and tender as I wanted. Prose poems come out of a surrealist tradition, from Rimbaud, Mallarmé, and others, so that adding in odd miracles and off-the-cuff transformations made me feel right at home. The prose poem, called by some a "poem in a box," can lead you to think not only in the box but outside of it, too. What else are boundaries for? It felt simultaneously reassuring and freeing to write prose poems that could hold the vagaries of ordinary and extraordinary experience at the same time. Inveterate prose poem writer Russell Edson says that, "A good prose poem is a statement that seeks sanity whilst its author teeters on the edge of the abyss." Could well be. For me, the prose poem has both a workaday quality and an absurdist streak that, for some reason, seem to go well together. Because it's short and confined, it contains a concentrated energy—it packs a punch, or a punchiness, and still stands there. DW: Currently, I'm putting the finishing touches on a book-length collection of poems, Silk Road, forthcoming from Etruscan Press next year. 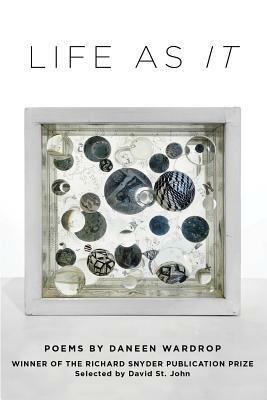 The book is written in the voice of Donata Badoer, wife of Marco Polo and mother of three daughters. In unbidden moments, she turns to perceive the complexities of contact between the people of Europe and China, recognizing both tensions and economic camaraderie that link them in global patterns.